Nov 14 2017 Update: Sample was re-tested; all of the material left over after the original analysis, including the capsule, was dissolved in solvent and homogenized. With re-test, fentanyl was detected. Traces of caffeine, fentanyl synthesis byproduct and heroin production byproduct were also detected. Tan powder sample submitted from New York, New York, USA. Erowid Note: Immunoassay and reagent tests can not definitively identify substances, though their results can be consistent with or inconsistent with the presence of a chemical (in this case fentanyl). The first GC/MS analysis of this sample did not detect the presence of fentanyl. After considering the issue of 'hot spots' or non-homogenized heroin samples that might contain fentanyl or fentanyl-analogs in sub-portions of the sample, we had the entire sample dissolved and the complete solution re-tested. This was done to make sure we'd see any fentanyl present in any part of the sample. 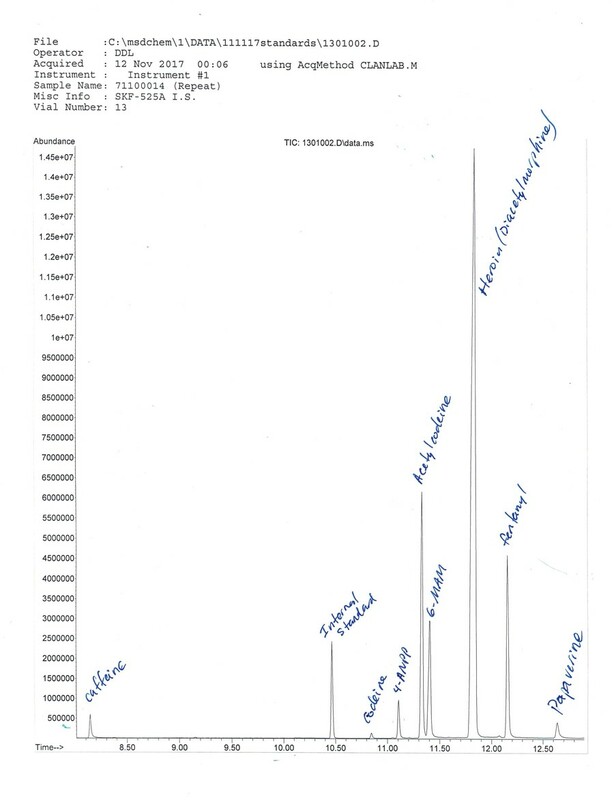 The second GC/MS analysis did detect fentanyl and also documented several trace components that make it clear this heroin was synthesized from natural poppy latex. Despite the impurities found, the primary active constituents in the powder sample submitted are heroin and fentanyl, with roughly six times as much heroin as fentanyl. Our second, deeper analysis suggests that the heroin synthesis was not complete and the finished substance had not been 'cleaned up', leaving trace amounts of several codeine- and morphine-related opioids in this heroin sample. Further, 4-ANPP (Despropionyl fentanyl) was also found in trace amounts. 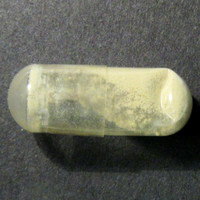 This chemical is not considered active or desired, but is an intermediate chemical found in the synthesis of fentanyl. 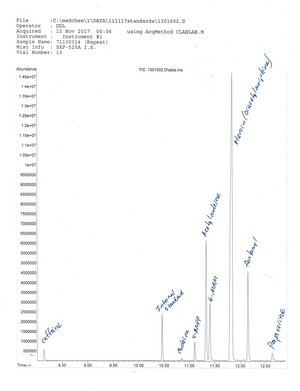 Because of the extremely low levels of these trace chemicals, it is difficult to be certain whether the identified substances are necessarily left over from the original synthesis or as breakdown products from an intermediary process such as storage conditions, heat, or potentially the analytical GC/MS process itself.